Michael Correa sheds light on the key opportunities in the� Singapore market� for aspiring fintechs, according to the findings of the� 2018 Westpac EIU Fintechs in ASEAN Report. 1. Why do Fintechs typically choose Singapore as a base for their operations? Fintechs typically choose Singapore to expand their current product range in a new market, access developer talent and create a base to service the region. Housing 39 per cent of all fintechs in the seven ASEAN markets, Singapore has the most buoyant fintech ecosystem in the region and also boasts an extremely supportive environment for technological development – with a smartphone penetration rate (85 per cent) above the ASEAN average and 98 per cent of the population aged 15 and above holding a bank account. Singapore’s well-above average financial inclusion rate presents a huge opportunity and large potential customer base for fintech businesses. In the coming years, Singapore is expected to consolidate its position as a wealth management centre and retain its place as one of Asia’s most affluent countries, signaling continued strength to both prospective and existing fintech players. GDP per head reached US$57,713 in 2017, higher than that of Hong Kong (US$46,395) and Japan (US$38,228). This number is expected to increase by 16 per cent, to US$67,174, in 2022, expanding the pool of consumption and investment available for fintechs. At the same time, rising personal disposable income will continue to expand market opportunities by boosting demand for fintech services. 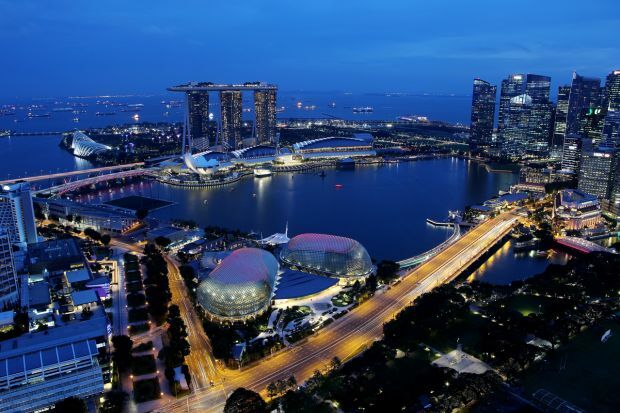 In the World Bank’s annual� Doing Business 2019 study, Singapore ranked second of 190 economies for overall ease of doing business, suggesting that fintech firms looking to set up in Singapore can expect favourable procedures, time commitments and capital requirements. 3. What are the key challenges Fintechs in Singapore face, and how can these be overcome? Some of the major challenges in Singapore include navigating the regulatory environment, and gaining an understanding of the local market and talent. For example, in the Singapore market, fintechs need people with business development, digital security and social media skills – but talent in these areas are in short supply. To overcome this, the fintech businesses we surveyed all echoed the importance of leveraging partnerships with commercial and non-commercial organisations, and even competitor organisations to gain new ideas and advice on market and regulatory knowledge. In fact, forming a distribution or other strategic partnership was the most common measure taken among companies surveyed (cited by 44 per cent of survey takers) to successfully crack the ASEAN markets, including Singapore. Benefits of such partnerships may include market intelligence, technology exchanges, referrals to potential customers, talent and funding for projects. When businesses with the right values enter partnerships, everyone benefits. 4. What key advice or tips do aspiring Fintech entrepreneurs need to consider before setting up in Singapore? We believe in the power of partnerships – establishing the right local partners (whether with traditional local banks with local connections, vendors, universities and research institutions, or other innovators) are absolutely key to success not just in Singapore but in every market. This has been at the heart of the inspiration behind our dedicated regional innovation hub based in Singapore, Co.lab, where we bring our bank’s expertise together with the rich fintech talent that is here in Asia, to help drive tomorrow’s solutions. As a 202 year old bank, strategic partnering has come to be at the heart of our innovation strategy in order to stay ahead in these exciting times. Fintechs and startups, once considered a disruptive threat, have rapidly become our collaborators. While acknowledging our differences in language, approach and risk appetite, we are united in the common desire to improve the outcome for customers. We both have something the other needs to grow—the bank has a large customer footprint, and a well-known brand, while the fintechs offer innovative capability, delivered differently. Our fintech partners are helping improve the outcomes for our business and our customers by delivering new products and services in banking and adjacencies—faster, cheaper and better—than we could do it ourselves. I wish you the best of luck in your journey and look forward to seeing more fintechs thrive in this exciting market.